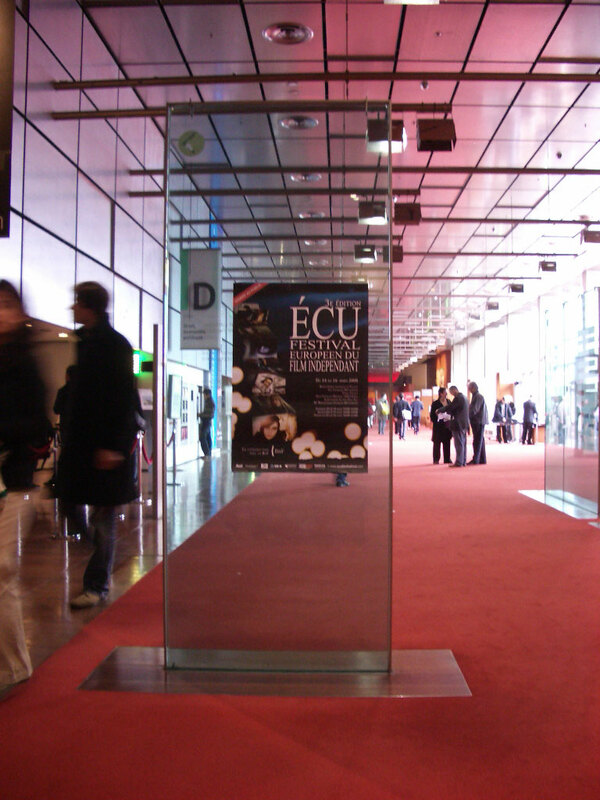 SAXON won the top award – BEST EUROPEAN DRAMATIC FEATURE – at the European Independent Film Festival held in Paris (14-16 March 2008). This is wonderful news for all the people who made SAXON happen with a homeopathically small budget, plenty of talent, tons of hope and hard work – fuelled by the generous support of friends, family, neighbours and strangers who dived in and are strangers no more! THANKS TO ALL FRIENDS OF SAXON. YOU ARE THE WINNERS! From Brooklyn to Bucharest, and quite a few places in between, film-makers and film-goers converged on the landmark Bibliothèque Nationale de France for the ECU European Independent Film Festival. Official selection SAXON travelled to Paris, along with other features, shorts and documentaries, newly dubbed with French subtitles. The SAXON Q&A session in the Directors’ Room was a mini-fest of enthusiasm. Audiences favoured the casting (from Sean Harris to lesser-known actors such as Divian Ladwa), the surreal aspects of the film, and the arresting combination of humour and menace. French viewers readily understood the British world of SAXON as a parallel to their own cité housing projects. With festival successes and UK theatrical release slated for summer 2008, Sillwood Films will seek agency/distribution in France and elsewhere in Europe. The latest purring black-cat luck for SAXON: official selection for the European Independent Film Festival, known as ‘Europe’s Sundance’! With dramatic features from Poland, Kosovo, Hungary, Greece, Italy, Spain and the UK, the European Film Fest just happens to take place in the land of Lumière this year. Paris welcomes SAXON writer-director Greg Loftin with an exclusive directors-and-press-only boat cruise along the Seine. May the spirit of L’Atalante and Les Amants du Pont Neuf be with him! Then follows a press conference (with skyscraping views of Paris) and a weekend of intense screening activity at the Bibliothèque Nationale, from 14th–16th March. SAXON is scheduled for its European outing – with French subtitles – on Saturday 15th March.